With thanks to the Telegraph, how to get fit for skiing. Watch Octopus Clinic video 85 shows the knee position exercise in more detail. Watch Octopus Clinic video 84 shows pelvis, hip and back corrections in more detail. Try these drills: Step downs and split squats are both great ways to work quads in the ski/snowboard way. Use the posture exercises above to make sure you stand correctly as you do them and start with 30 repetitions. Then add weight gradually, by holding weights – or if exercising at home, by wearing a backpack containing tins of food for example. Work the muscles to fatigue, then take two days off so they to recover between workouts. Don’t, however, bother with sitting against a wall squats – they can lead to skiing with weight too far back. For snowboarders they can make it harder to turn on the toe edge. Watch Octopus Clinic video 30 for step downs and 23 for split squats shows these exercises in more detail. Try these drills: First is the clam exercise. Lie on one side with hips and knees bent. Keep ankles together and lift the top knee, then lower it again, like a clam opening and closing. Hips and pelvis should not rock backwards as you open the knees, and you should feel the muscles working on the upper side of the buttock. Repeat 30 times on each side then practise a similar movement in a standing position, so you learn to use the same muscles in the way you would on the slopes. Second is the wall ball exercise. Stand with a wall at your side and a long mirror in front. Put a ball between knee and wall, then twist both knees out slightly as you lift the foot on the ball side up behind the same knee. Push yourself away from the wall gently using the knee, keeping shoulders squarely over hips (no leaning). If you feel an intense sensation in the outside of the buttock furthest from the wall you’re doing it correctly (stop if you feel pain anywhere else). Next, bend and straighten the knee ensuring the knee stays in line with the second/third toes. Repeat until you can no longer maintain the alignment or sensation in the buttock. Aim for 30 on each side, but it’s better to do a few reps perfectly than many with poor alignment. Try this drill: Jump sideways onto then off a step, starting with a low step and gradually making it higher, always making sure position is perfect of course. Watch Octopus Clinic video number 34 shows how to do propulsive exercises. Try this drill: Stand on one leg with eyes closed for two minutes twice a day. When this gets easy, add some small movements, such as little knee bends or brushing your teeth. Hover your hands over a stable surface, so you can grab it if you lose balance. Watch Octopus Clinic video 72 to progress and do exercises on an uneven surface like the ones on a wobble board or squashy disc. 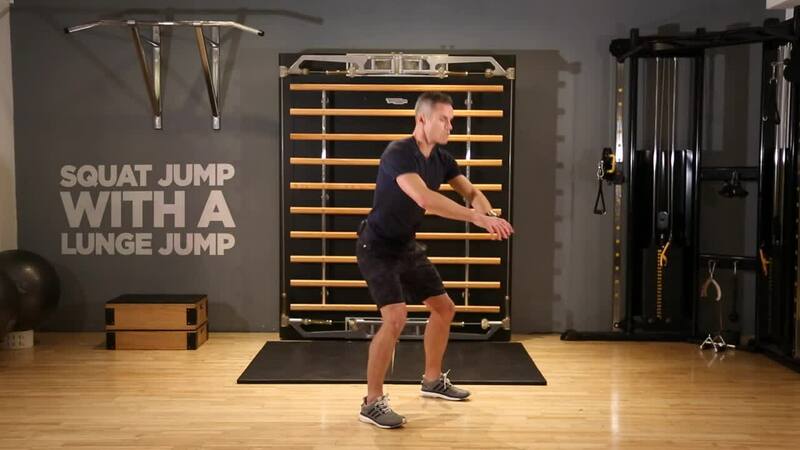 Try this drill: Cycling or using a step machine works some of the muscles used in skiing and snowboarding. Aim for three to four 20 to 30 minute interval training sessions a week, working harder to increase the heart rate for two minutes, then working less hard to drop it right down for a minute before doing the same again, throughout the session. Remember to build up the exercise slowly and incrementally.